Ideal location! 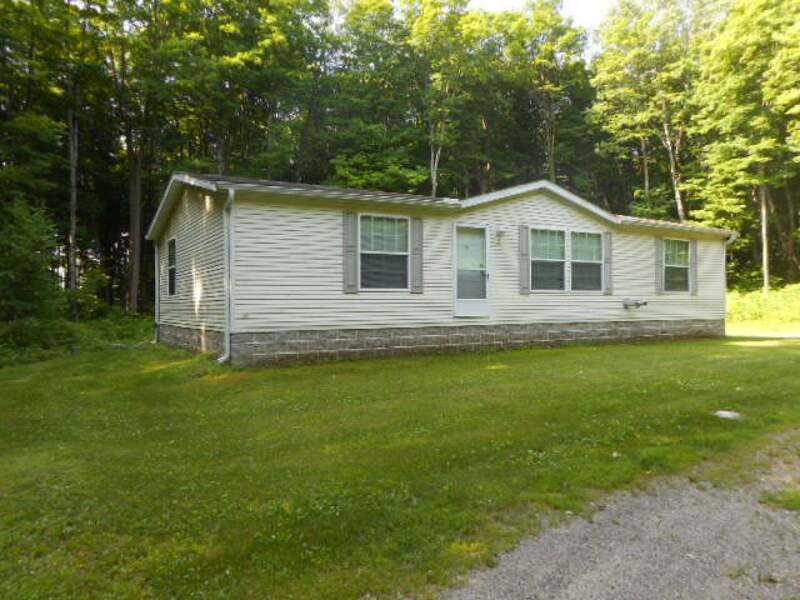 This wooded rolling 1.7 acres of land is located between Pickerel and Crane Lake. A great fishing and recreational area. This neat and clean 3 bedroom 2 bath home features large kitchen area with island for entertaining. Dining area opens up to 12&apos;x18&apos; sun deck which has a private wooded setting to enjoy the outdoors and watch the deer pass by. Large living room with vaulted ceilings and pellet stove to snuggle up to on those cool evenings. Large master bedroom with master bath. Master bath has shower and garden tub. lst floor laundry area. Gather around the fire pit and tell your favorite stories. Hop on your ATV or snowmobile on the access trail from your property.